Hey! 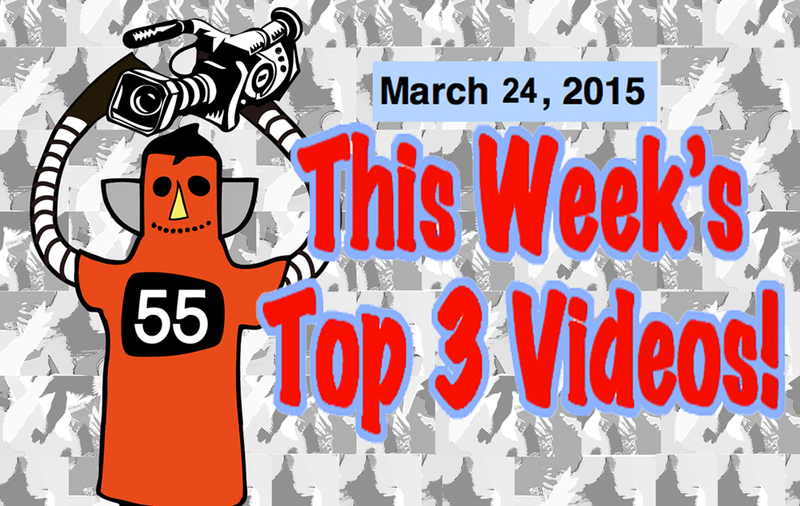 We’re back for this week’s Top 3 Countdown. Welcome! First off, a hat tip to my friend in Osaka, Kevin Riley. Kevin was complaining about some of the songs a few weeks ago, saying they were, “Too mellow.” He wanted to, “Rock!” he says. OK. So, this week due to popular demand (from Kevin) we’re going to rock with some more video productions from brand new artists that I think are way cool! First up today is a band from France. It seems to be a guy and a girl. Their band name is The Limiñanas. That’s all I know about them and all I can find out about them from English language press. Kevin Riley speaks French, maybe he could do some research for us! Seriously, I can’t find really information about this band, really. “French pop in its purest form hasn’t really got its groove back since the 60s, but, wisely, it’s this very era that this Perpignan duo mine, marrying fuzzed-out psychedelia and agreeably rambling rock with the pop sweetness of that decade’s chansons. The ghost of Gainsbourg is felt most keenly in Votre côté yéyé m’emmerde, a softly spoken-word litany of icons and celebrities. Not hero worship, though, but an eye roll at the cute-ification of the past; its title translates to something like “your yé-yé view annoys me”, or, more literally, “enshittens me”. It is, in other words, a perfectly Gallic “bof” of a pop song. Uh? What did he just say? Yeah. See? I can’t find out anything about this band. So check the video and you’ll know about as much as I do! Next up is a two girl group from Oklahoma City, Oklahoma that formed in 2009. And their name is Sonic Youth. Er, no! That’s not their name. But if you like Sonic Youth, you are going to dig this! The band consists of Kelli Mayo and Peyton Bighorse, who both can play several instruments. They make songs alternating instruments, in a childlike yet heavy and mature style with very and poetic lyrics and melodic arrangements. Is the rudimentary musicianship part of the act? I can’t tell because some of it really rocks! They play a bunch of different styles from riot grrrl to, get this: piano-based indie punk/pop. OK. Here we are at #1. Now this is HOT! I love this! This trio is from Texas and they are called “Purple!” (OK, Kevin Riley, you will dig this BIG TIME TOO!) In thes video they are playing at a party and I cen definitely imagine rocking out to this band! MY GOD! They have a hot blonde drummer and she is the singer too! When was the last time you saw that happen? Never, right? Her name is Hannah Brewer and she also writes the lyrics. And she growls when she sings! Hot! Hot! Hot! Click this video and watch right now! You can thank me later! Well that’s all the videos for this week. See you back here in a week from now with more cool new music! At Robot55 we make video productions for businesses and services and products, but we also pride ourselves on making videos for art and music. Our starting price is ¥80,000 and we are sure we can work out something that fits your budget. Oh, and we love making band videos too!